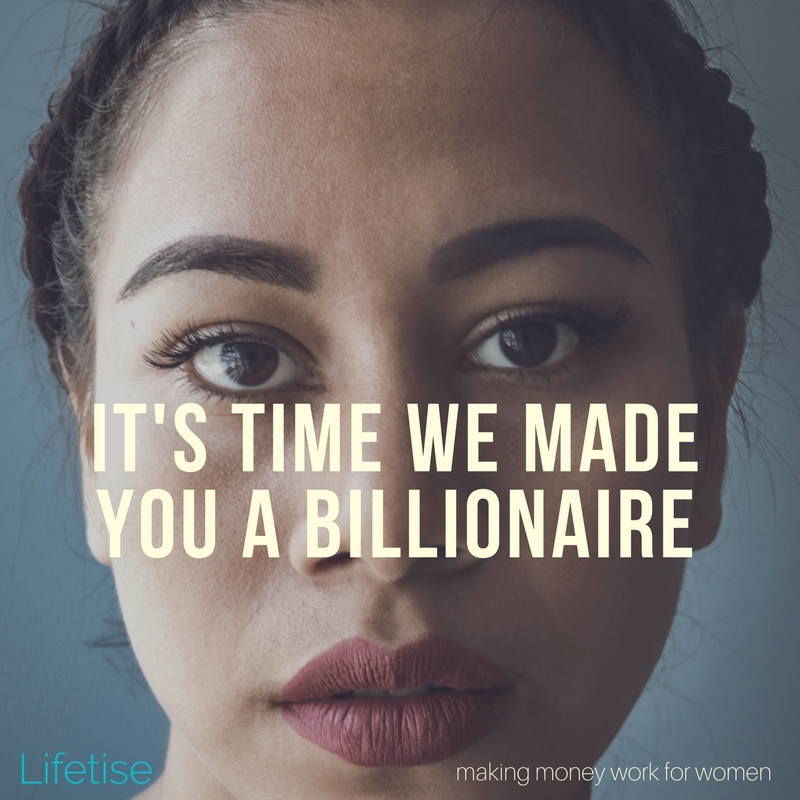 The average woman loses £300k over the course of her life compared to the average guy. I get it. It’s a shock. £300k is a HUGE amount of money. Like buy a house big. Or elephant in the room big. Certainly too big to ignore. Definitely too big not to do something about it, right? Good news is, I think we can change it. But that means we’re going to have to stare straight at it. Unflinchingly. Know thy enemy. If we want parity, we’re going to have to take a long hard look at what we’re up against. There it is. We get paid less and many of us take time out from working to raise kids. So we have less money to invest in ways that will generate more money. 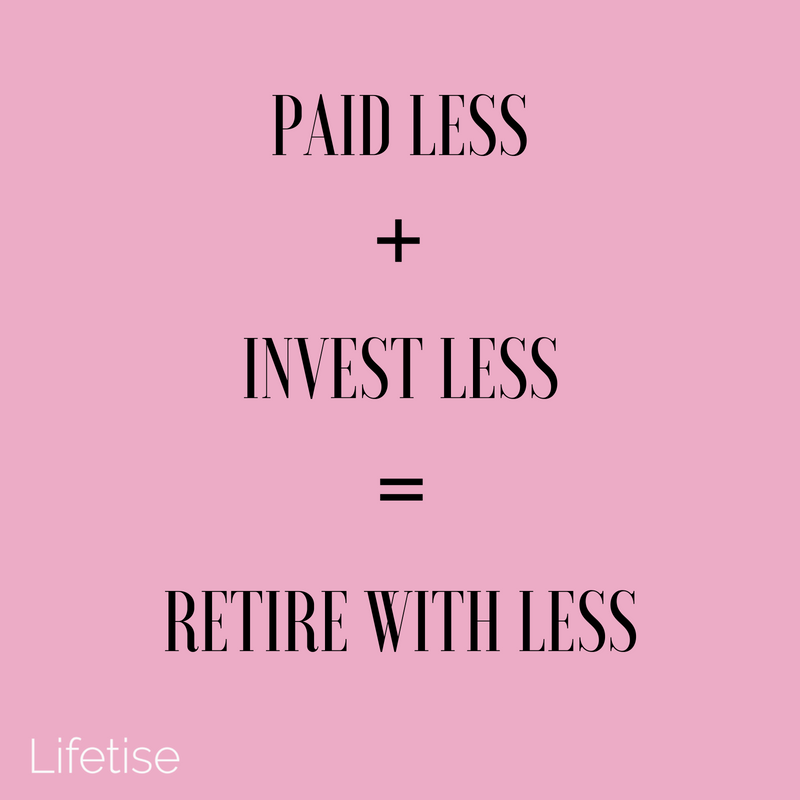 Which means we retire with less. Plus, we live longer than men so, actually, it’s a quadruple kicker! So what do we do about it? We systematically dismantle the blocks in our path. One step at a time. If we chart a path of university graduates heading out into the world then, straight out of the blocks, you’ll find that female graduates earn on average 11.5% less than their male counterparts in the first five years post-university. The university courses leading to the highest paying jobs right now (software developer, data scientist) are extremely male dominated. The lowest paying ones (healthcare assistant, social worker) disproportionately female dominated. Tell me. Do you think that smart young women just shy away from subjects or industries that pay great money? Or do you think they look at those industries and see a dispiriting wall of endless menz with no space for them and, with heavy heart, turn away from a career they know would be so intellectually fulfilling. Hey employers! Listen up. You need to put in the miles and the commitment to recruit more female grads into your companies. 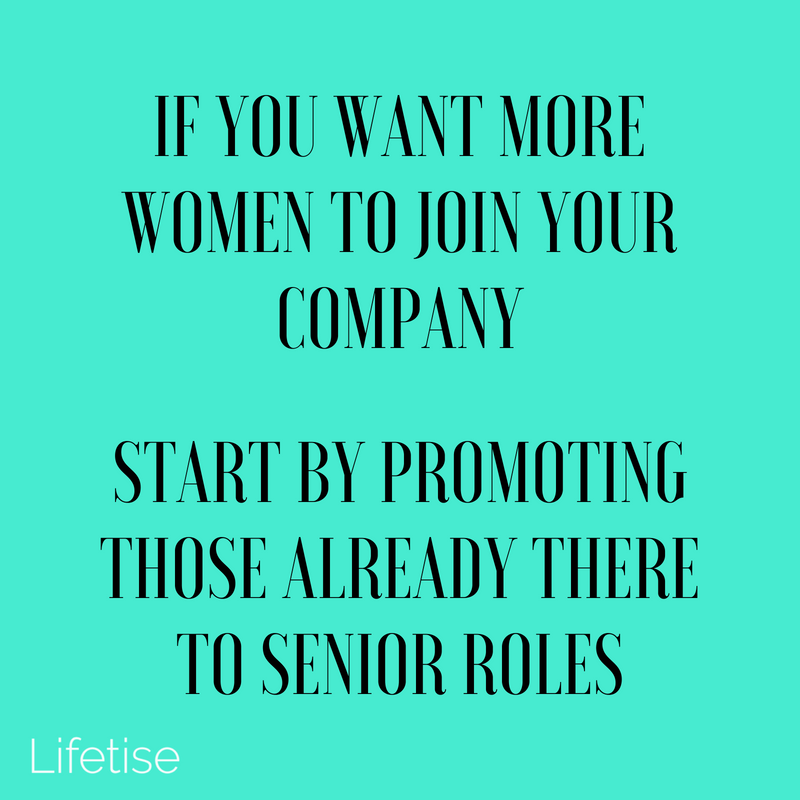 And the only way you do that is by having more women in visible senior leadership roles. When I was studying law, I noticed which firms sent female partners on the graduate recruitment drives and which ones didn’t. I noticed which firms had an equal mix of male and female trainees on the intern liaison squad when I did summer placements (and I noticed whether any female trainees had lead roles). We all want to feel that there is a place for us in our chosen career and we need to see women thriving at all levels of a business before it becomes an attractive option. Make sure you have women (especially women of colour) in leadership positions in those specific roles that represent what your company does best. If you are a tech company, then you need women (plural) in senior development roles and in management. Having a woman as Head of HR or Head of Marketing* does not cut it. Pay these women additional, proper sums of money to help you recruit more female talent. It cannot be an extra, unpaid burden. These women have worked so hard to make inroads into your industry. You should not expect them to work for free to increase diversity through the pipeline. Make it a thing. Pay them. Look at your marketing images — are they genuinely diverse? What about your job adverts — is your language putting women off applying? Hint: if you haven’t thought about it, then it probably is. This study of 77.000 job adverts found 478,175 words which carried gender bias. An average of 6 male-coded or female-coded words per job advert. * Not dissing either of these roles, but these are jobs where women are already well represented, and we’re trying to bring the others up to speed. 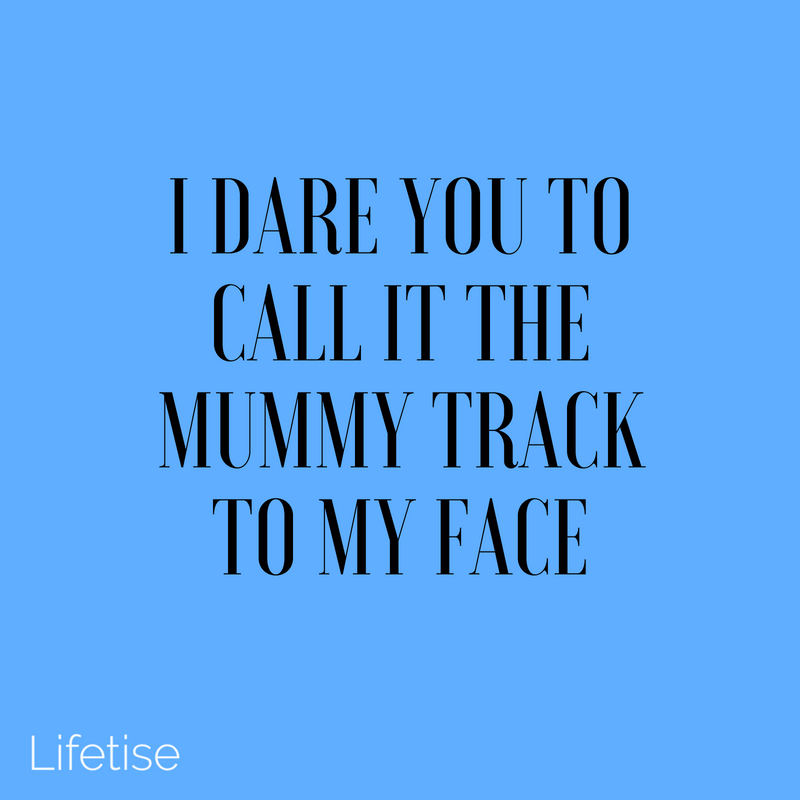 So, unless you take the New York Times’ advice and have kids before you’re 25 (so you have enough time to make up for the career break) or after 35 (assuming you’re earning a decent whack by that time), you’re probably going to get caught in the quicksand of the mummy track and lose a third of your salary thanks to motherhood. It partly explains why the UK conception rate has dropped for every age category except women over 40. It’s a wonder that any woman chooses to have children, given how badly we’re often treated when we dare to do so. There are now tons of studies which corroborate the stories that pregnantthenscrewed.com has been collecting for years. Like this one that showed how mothers are 50% less likely to be hired than fathers with the same experience. Or this one that estimates that over 50,000 women each year could be being pushed out of work for being pregnant. If you think your employer is discriminating against you due to pregnancy, you can call or email the Pregnant Then Screwed team for advice. If you want to know which companies do more than just pay lip-service to providing benefits for women, this article is a good starting point. We also need to make this a conversation about shared parental leave. So that families can work out the mix of leave that works best for them. Aviva has recently changed its policy, so that any of its 16,000 employees can take 26 weeks leave on full basic pay, regardless of their gender or sexual orientation and whether they become parents through birth, surrogacy or adoption. Let’s applaud companies getting it right and encourage others to join them. The Joy of Flex — promotes flexible working. Working Families — the UK’s work/life balance charity, supporting working parents and carers and their employers with flexible working. Women Returners — getting professional women back to work after an extended career break. The Return Hub — financial services recruitment firm for people who have taken a career break. Women have a long track record of not investing in the stock market. 79% of us don’t do it. I was one of those people. Keeping my savings in cash, even as interest rates dropped to the point where, once they’ve taxed me on my savings, I’m actually paying the bank for the privilege of them holding my money. Honestly, I may as well have stashed it in cash under the mattress for all the good it did me. This is a big problem. 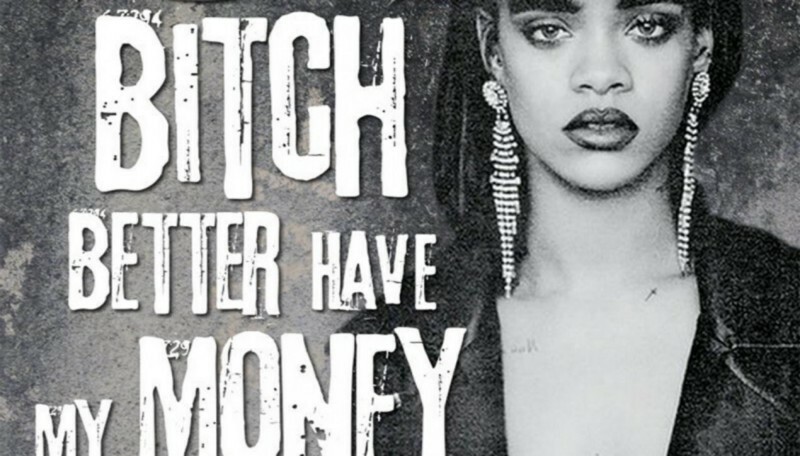 For me and for every other woman who keeps her money in cash. Because it’s not earning us anything. It needs to be put to work somewhere so that it makes more money for us. And one of the key ways to do this is through investing. We need to find a way to make at least a 5% annual return on our hard-earned money. Right now, with savings rates so depressed, that probably means looking to stocks and shares. The magic wand for growing your financial stability is the effect of compound interest. You take a sum of money (however small) and you earn interest on that money. Then you have a larger sum of money (the original sum plus the interest earned). You take that larger sum of money and repeat the process, making an even larger sum of money. Year on year, you generate larger and larger sums of money which you reinvest and it becomes a virtuous cycle. Confused? Here’s how it works with some hypothetical numbers. The earlier that you start, the better, but don’t stress if you’re coming to this later. Just get started. 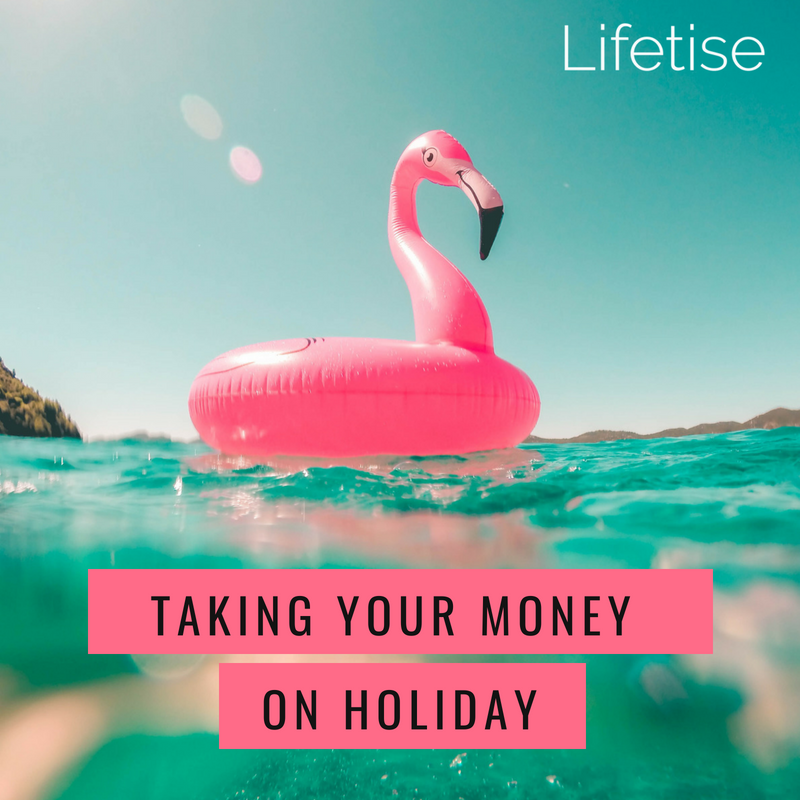 This is a long-term play, so work out how much you can afford to invest each month. Little and often is the goal. Make it a monthly habit and expect to leave the money in for at least 10 years, so it can work its compound magic. Don’t know where to start? Take a look at one of the robo-advisors. They walk you through the process, checking your appetite for risk and then suggesting a portfolio. They have much lower fees than human financial advisers, so more of your money will actually go into your investment pot, instead of into their pocket. Honorable mention: Ellevest is an investment platform created solely for women. It’s brilliant, but it’s only available in the US right now. We’ll keep an eye on it and let you know when it crosses the pond! Once you start, you’re going to be tempted to check your dashboard daily or weekly, to see if your stock has risen. Try to wean yourself off that as quickly as possible, as it will drive you crazy! You are looking for a good return over a longer period, so don’t freak yourself out looking at price fluctuations which happen from day-to-day. 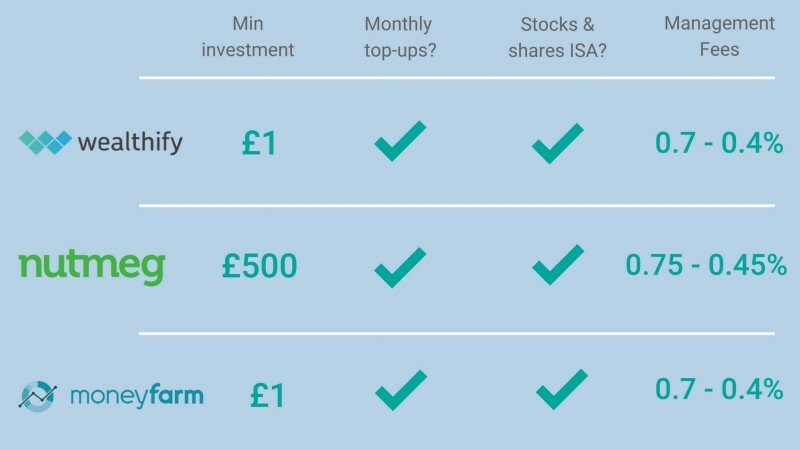 * What is a Stocks and Shares Isa? No tax on dividend income (compared to a 25%+ tax on any dividends above the £5,000 dividend allowance). To get more like this, sign up for the Lifetise newsletter. 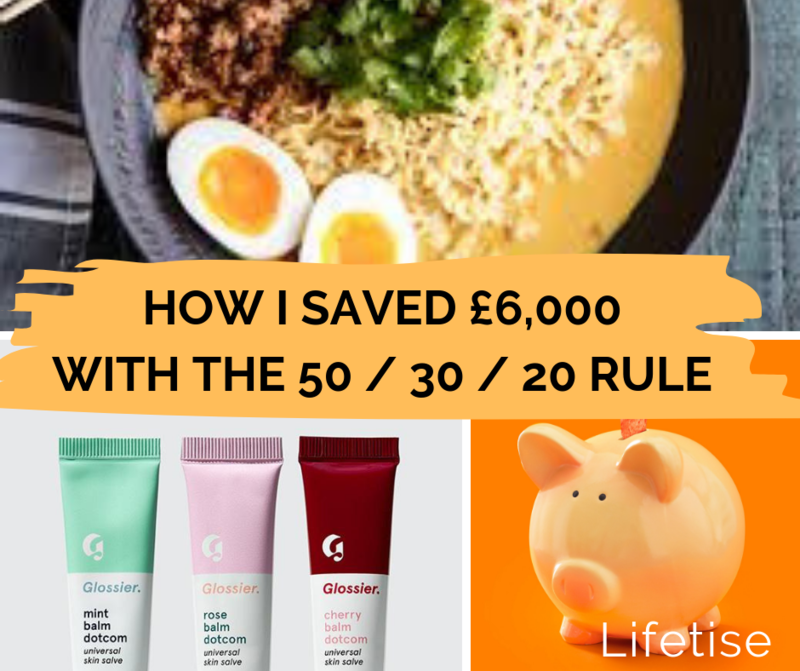 A monthly edit of how to afford a great life. Why the Pay Gap is about to do something wonderful for Women. 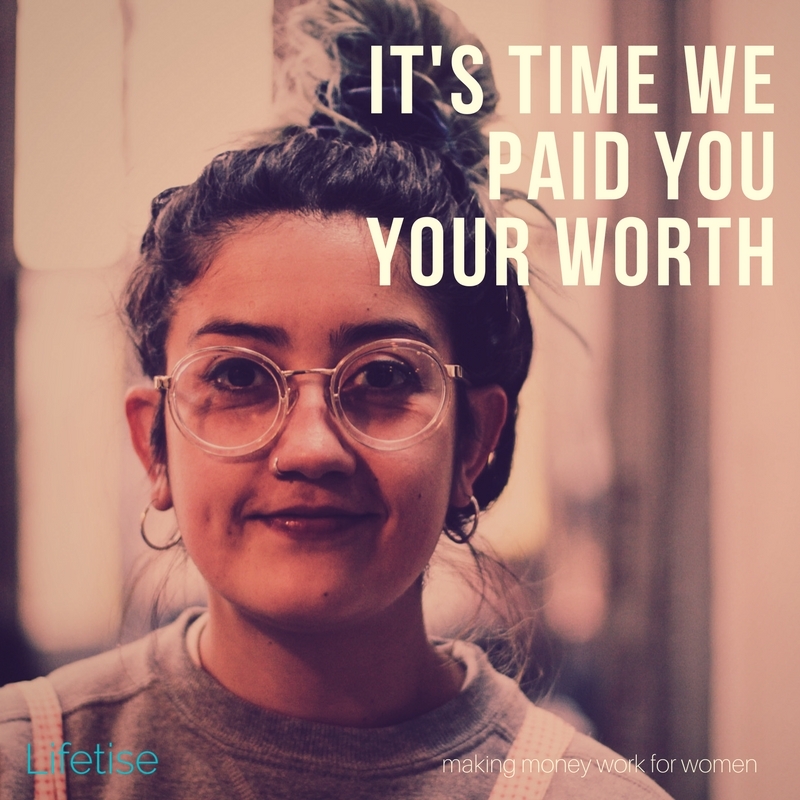 Women: Get paid your worth.